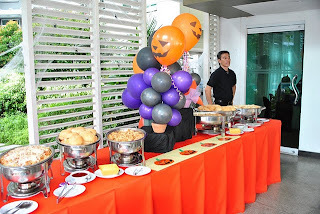 Our little boy turned one two Saturdays ago and we threw him a Halloween-themed party at the Clubhouse of Two Serendra. 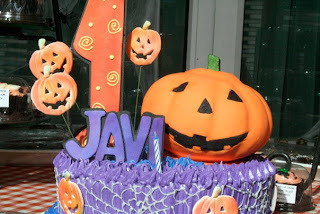 Javi's birthday is very close to Halloween and for some reason the colors purple, orange and black appealed to me. 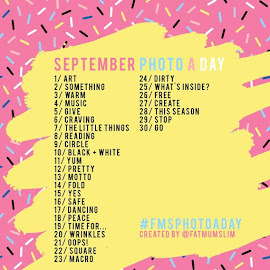 I want to make it a fun non-scary Halloween where kids will come in their favorite costumes and adults to either dress-up or come in black, purple or orange. It was a bit of a surprise that guests followed the requested attire. 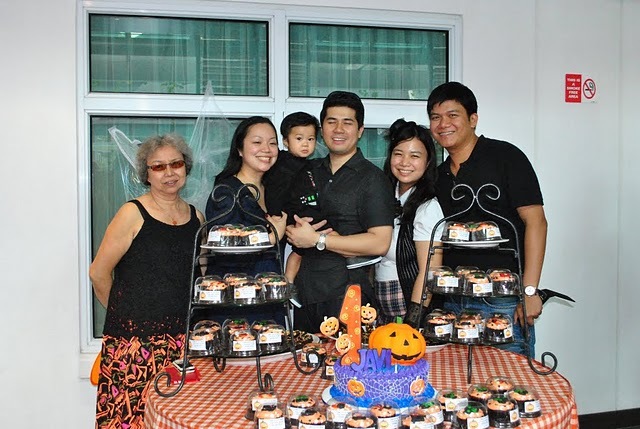 We are grateful to everyone who spent their Saturday afternoon with us to celebrate the little boy's birthday. 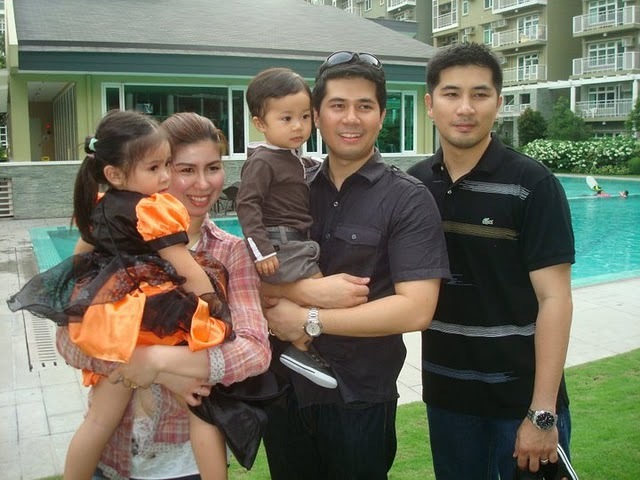 You wouldn't think that my friends and relatives from Bulacan would make it, well they were the first ones to arrive. Good friends who do not have kids still showed up. I wished I had more time to spend talking to each one of them. 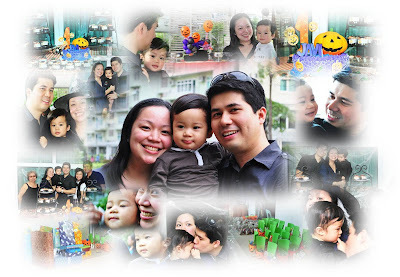 Together with my dearest friends Neyza and Ding, we came up with Javi's Spook-tacular 1st Birthday. For our wedding, I had everything under control. For Javi's first birthday, things were a little chaotic. Jed and I had a destination wedding, Javi had a destination birthday as I planned it from Cebu. I just want to say thank you to these people who helped me organize Javi's birthday in Manila. 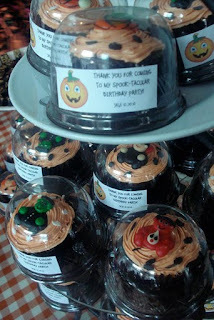 Special thank you to my brother Dio for his generous contribution, my sister Via for the goodies and all her help, and my mother for the cake and the small errands I asked her to work on. The party will not at all be possible with Ding and Neyza. 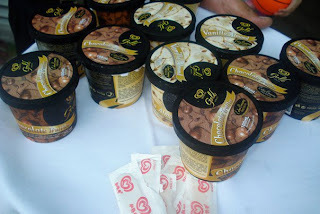 The way I see it, there won't be a party without them. So blessed to have these two ladies helping me out. 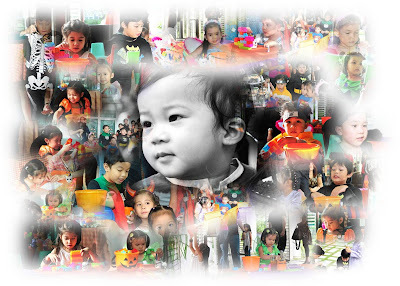 A big thank you to Ate Eppie, Kuya Joem, Ate Nats and the three very obedient kids for the trips to Divisoria with Neyza, putting up the decorations and all the party goodies and for the wonderful photos. Lastly, to Mark and Joey for showing up . he definitely is a small jed. 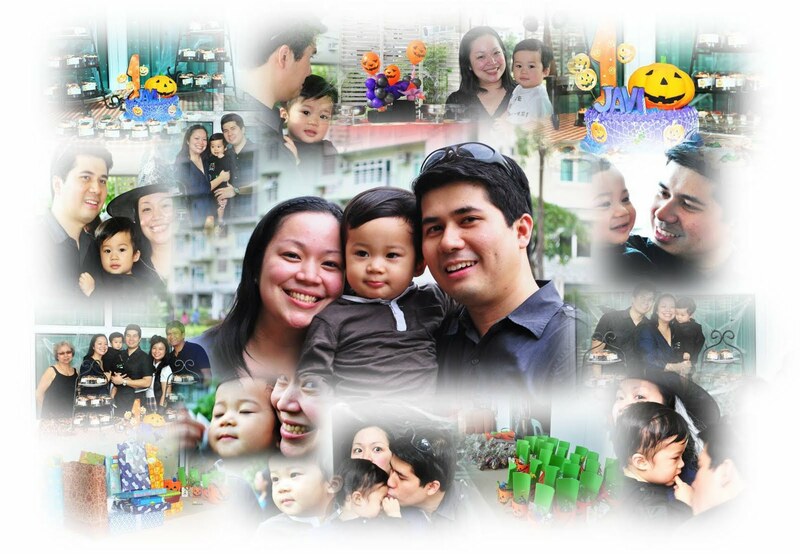 :P all the best to your family irma+jed!